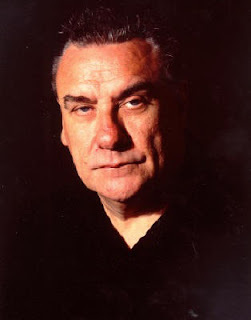 In an interview to promote his new rhythm art project, original Black Sabbath drummer Bill Ward explains why he passed on participating in the band’s reunion album, “13”, and tour. “I was offered a contract and I couldn't sign it,” Ward tells Guitar International. “As for some of the stories — I would never, ever show up for a commitment that I could not do physically. So that should answer that one. In the statement that I did last year, I was quite clear that I came to the end of the road and promised myself and my family that I would never sign a contract that was not workable. It was one of the toughest decisions that I ever had to make. Because I absolutely and without question wanted to play. I haven't left the band. Everybody thinks I have left the band. I didn't walk out; it wasn't like that at all. I just didn't sign the contact and life took its own course." As a result of Ward’s decision, Ozzy Osbourne, Tony Iommi and Geezer Butler recorded with Brad Wilk of Rage Against The Machine, while Ozzy’s solo drummer, Tommy Clufetos, began handling live dates, icnluding the recently-launched North American tour. There’s been talk that the band wanted Ward to join them on the road but only play a few songs each night. Ward was asked about Ozzy’s recent comments saying that the singer hopes the drummer will be a part of any future recordings by the band. Read Ward’s full interview at Guitar International here. Like a painter using brushes, Ward is creating fine artwork utilizing sticks that light in a variety of ways. His rhythms are captured for canvas bringing forward a new dimension to what was formally just sound. To learn more about the collection, visit BillWardDrumArt.com.